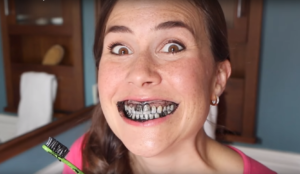 I watched “Mama Natural’s” YouTube video where she, a self-proclaimed expert in natural health, is instructing viewers to go out and buy a $5 bottle of activated charcoal, then grind it all over their teeth twice a day in a bubbly, black haze. This is actually one of many faux-health experts whose unsubstantiated cures are seen as viable solutions by masses of uneducated viewers, who take these “cures” as real solutions instead of talking to their health professionals. I wish I could sit every dentist down and make them watch this video. Why? Because this kind of trash is PRECISELY why you need to have a relationship with your patients. The fact is people trust what they see and read on Google and YouTube, and that is unfortunately the world we live in now a days. But not all is lost. YOU can educate them properly on Google and YouTube yourself, via Google reviews and patient testimonial videos on YouTube….but you need to do it consistently and properly. More tips on that in just a minute. As their doctor, you are a trusted advisor. When your patients have a problem related to there mouth and teeth, you should be the FIRST line of defense and protection that comes to mind. And if you have built the right kind of relationship with your patients (and potential patients), they will see you as that singular resource…the ONLY resource they can and will trust with their teeth. However, let’s say you haven’t built that relationship properly. They only see you as “the person in the white coat who looks at my teeth and slaps some glop in my mouth every six months”. There’s no trust and little respect between you, and as a result, they are open to being led by outside influences. 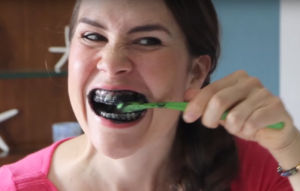 So when dangerous and misleading information shows up in front of them, whether it’s through self-proclaimed experts (who suggest edgy and foolish dental “hacks” like “Mama Natural”), half-truths they find on Google, friends/family, or other unofficial sources, they will be more willing to take that information as fact…thereby endangering themselves, their kids, etc. Your #1 priority should be building a system that positions you as the unquestionable expert when it comes to your patients’ dental well-being. How do you do that? It’s simple…you give value before you ask. You demonstrate (through what’s called “social proof”) that other patients just like them see you as the foremost expert in town and would climb over their own mother to be in your stable of patients. And you get your patients to be your biggest advocates and marketers for you. Social proof is not hard to build. 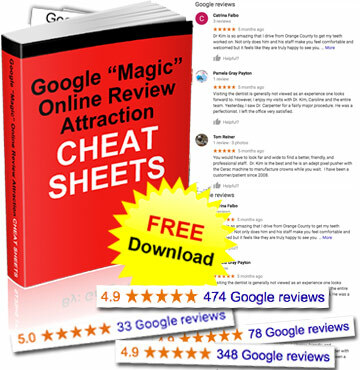 You can build it through patient Google Reviews, informational videos, etc. But most doctors who try to build social proof on their own totally screw it up. They come off as braggarts or self-aggrandizers. They unintentionally push or even bribe their patients into leaving them reviews…which totally backfires and results in negative reviews. That’s not the way to build your reputation as a well-liked and trusted expert. And by not doing it right (or not at all), you’re actually endangering your patients’ and potential patients’ health. Be the trusted advisor who your community turns to when they see these kinds of dangerous solutions come across their doorstep. Learn to build real relationships, filled with trust and value, with your patients. fire all in one fell swoop with almost ZERO effort what so ever…. in the areas he can’t cover with a brick and mortar presence. plan is a “glove fit for you”. Category Local Search Tips, Marketing & Growth, More Google Reviews, Practice Management | Bookmark the permalink.